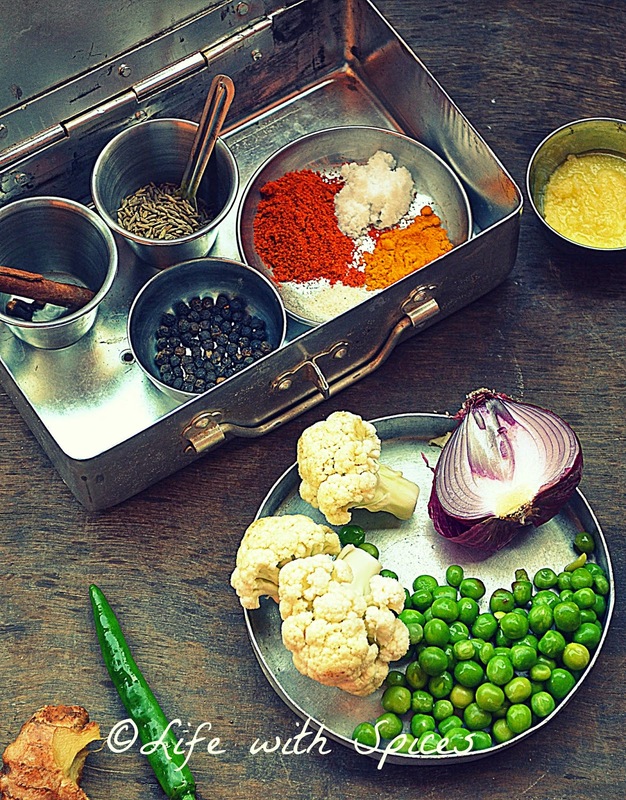 OP is one famous method of easy cooking and it has become my fav method of cooking too. Termed as One Pot is cooked in a cooker and in few hisses the dish is ready to be served. Made Dal Khichdi with rice, yellow moong n green moong with some spices and veggies which made a complete healthy meal. Spicy masala papad, curd n pickle is all needed for this sooper yummy kichdi!! 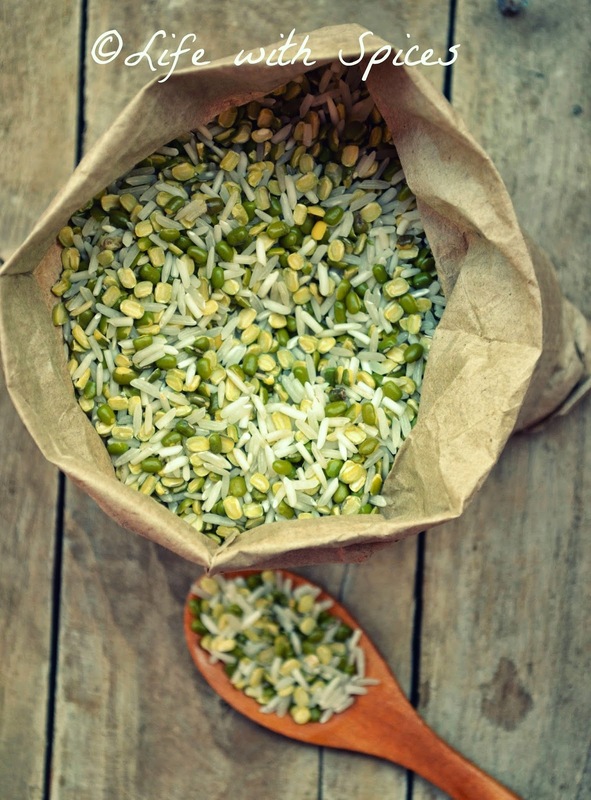 Mix rice n dal together and soak in water for 30 mins. Heat ghee in a pressure pan add cloves, cinnamon, peppercorns, cumin seeds, green chilli ginger paste and saute for few seconds. Add asafoetida, onions, green peas, cauliflower florets and saute for a min. Add the rinsed rice dal mixture, turmeric, chilli powder, salt and 4 cups water mix well and pressure cook for one whistle. After one whistle put it on low heat and cook keep it on heat for 10 mins and switch off the heat. Allow to cool give a nice mix, sprinkle fresh coriander and serve hot. 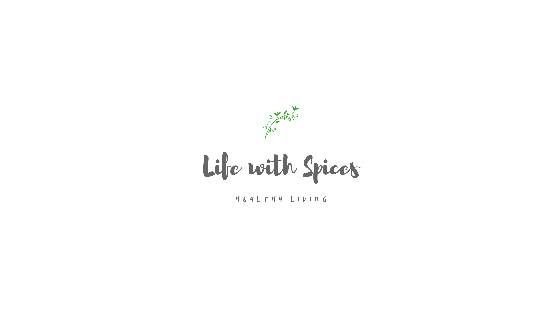 Love the spice box! 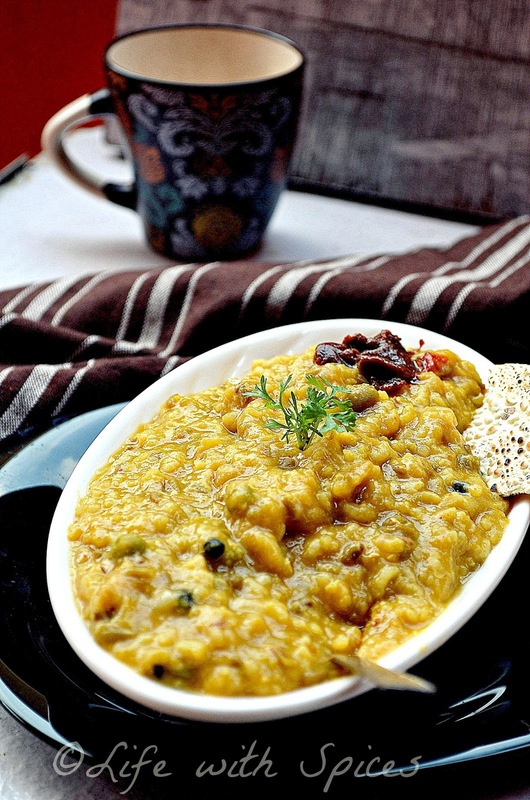 Yummy dal khichadi! 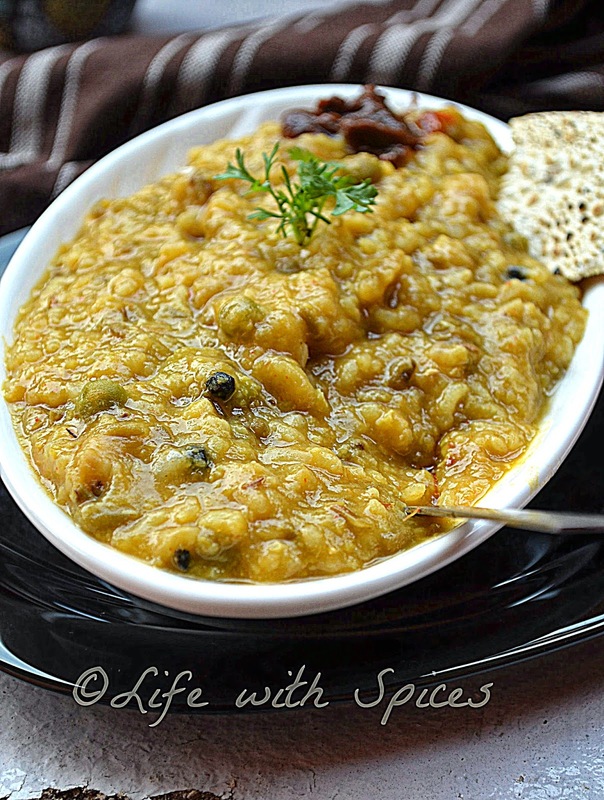 Delicious and healthy dal kihchdi.. lovely pics..